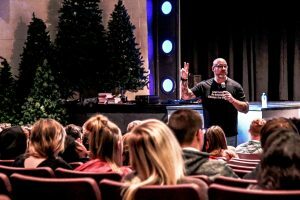 Last month, mental health speaker and Amazon bestselling author Jeff Yalden traveled to Cresco, Iowa at the invitation of Becky and Mike Bina. 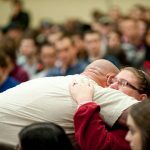 Their son, Kyler, made the forever decision to end his life in April, at just 16 years old – and despite the crushing and tragic loss of their son, the couple decided to open their hearts and give back to their community by devoting their efforts to suicide awareness. Over two days, Yalden spoke to parents and to students in the Crestwood school community and participated in a suicide awareness walk. “When I left Cresco, I left the beautiful family of Mike Bina and Becky Bina and their wonderful extended family. Their son Kyler pulled the trigger on April 17, leaving behind two notes; one for mom and dad, and the other for his girlfriend of six months. I have many thoughts and feelings as I learned so much about his story and the family. Parents nor family are to blame, but they’ve had to and continue to pick up the pieces. 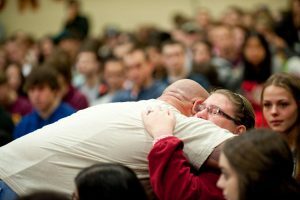 I could share so much more, but it doesn’t change that that Kyler is forever gone,” Yalden said. The walk itself included 200 families and friends whose lives have been affected by suicide. 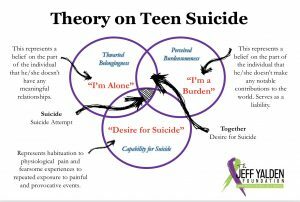 As a suicide prevention and intervention expert – and as a person who struggles with mental illness himself – Yalden knows the subject from the inside out. “I’ve been there, but knew I’d never pull the trigger. I know about mental illness. I love being able to make sense in a way doctors and psychiatrists can’t,” he said. 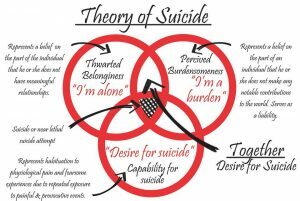 He has long said that suicide is a permanent solution to a temporary problem – and those considering suicide might not stop to think about the emotional pain their families and friends will go through for the rest of their lives as they pick up the pieces. 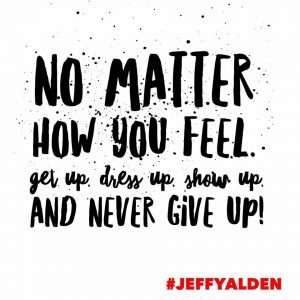 For those going through a tough patch, Yalden encourages them to consider all options, breathe, and know that they are loved. Getting the word out that there is hope is a high priority for Yalden. Ask for help. Reach out and help a friend. Help a family. 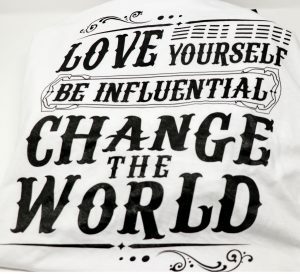 Know mental illness is all our responsibility. Let’s not be afraid to talk about it. He said that mental illness is something that might not be important to a family until somebody in that family is suffering – and then it becomes all too important. 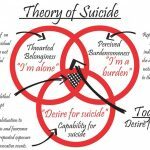 Yalden can’t stress enough that problems come and go, but suicide is forever. “If you are thinking about that forever decision, remember that, while it might end the pain for you – it’s just now starting for all your family, friends and loved ones. They have to live the rest of their lives picking up the pieces – wondering if there was something more that they could have done. 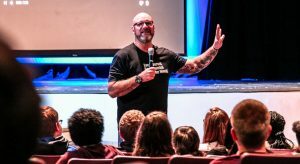 For more about Jeff Yalden, click HERE. 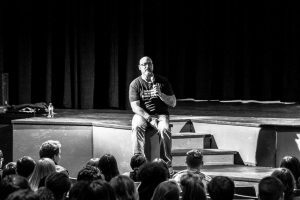 To book Jeff now to speak at your school, event or facility, call 800-948-9289.